Whether you're going to retire in five years or 25, you need to put the 4% rule to work. It's one of the best ways to tell how much monthly income you can generate from a $50,000, $500,000 or $1 million nest egg without having to worry about outliving your money. Though a bit misleading, the "4% drawdown rule," as it is known, says you should take out 4% — later revised to 4.5% — of your savings the year after you stop working. You then withdraw the same amount, adjusted for inflation, each year after that. If you do this, the rule says your savings should last through at least 30 years of retirement. Bill Bengen, a certified financial planner and author in Chula Vista, California, created the rule after studying how retirees from 1926 through the 1980s would have fared had they invested in a balanced portfolio of stocks, bonds and cash. "I tried to find the worst-case scenario where retirees ran out of money (in less than 30 years), and the rate was about 4.5%," Bengen says. The rule stuck, but recently there's been some debate about whether this savings principle remains valid in an era of volatile stock markets and record-low interest rates that have made it more difficult to earn a respectable return. Perhaps we should plan to withdraw no more than 4% plus inflation? Or even 3.5% or 3%, some financial pros suggest. But after a lot of calculating and soul-searching, most advisers seem to be sticking with the original rule as a good starting point for planning and discussions. Peter D'Arruda, president and founding principal of Capital Financial Advisory Group in Cary, North Carolina, says the rule can help people understand how they'll live off their nest eggs in retirement. "Some people think they're going to retire with $100,000. Or they're surprised to learn they can only have $40,000 per year off a million dollars," D'Arruda says. "The rule is a great place to start the conversation about what they can expect." The rule's big appeal is its simplicity. Let's say your goal is to have $500,000 in stocks, bonds and CDs when you stop working. That establishes a base for your withdrawals of $22,500 for your first year as a retiree to cover your living expenses. If inflation ran in line with the historical average of 3% for each of the next two years, you'd withdraw $23,175 in the second year and $23,870 in the third year. Your balance will slowly fall, but retirees who have followed the 4% rule have typically seen their savings last about 30 years. However, the future may not play out like the past. Runaway inflation, another global recession or a banking crisis could diminish returns and cause retirement funds to drain away more quickly. While there are many possibilities, Bengen still believes the rule is a good starting point. "I haven't seen evidence yet that the 4% rule will be violated," Bengen says. "But no one knows for sure. No one knows what inflation will be in the future and if we're entering a period of (lower) returns." If you want to be a little bit safer in your planning, use a lower withdrawal rate. Most financial advisers say you need to be able to replace 70% of your pre-retirement income after you stop working. So let's assume you and your spouse earn $90,000 per year, or $7,500 a month. To generate 70% of your current income after you retire, you'll need to come up with about $5,250 per month. Social Security should help you reach your goal. 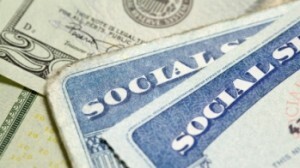 Deciding when to start Social Security is one of the most important retirement decisions you'll make. Is it smart to sign up for a check as soon as you turn 62, the youngest possible age? Or should you wait a few years, when you'll qualify for a bigger monthly payment? Let our 6-step guide help you make the right call for your financial situation. 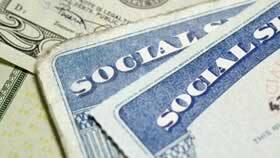 The Social Security Administration can provide an online estimate of what your monthly benefits will be based on current law. 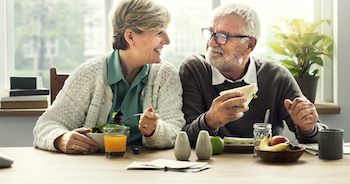 Let's assume you and your spouse will each receive the average monthly Social Security retirement benefit of $1,422 (current as of March 2019). That $2,844 per month puts you a little over halfway to your goal. If you don't have any other sources of income to depend on, you'd need to generate the remaining $2,406 per month from your savings. Using the 4% rule, you'll need about $641,600 to safely withdraw that much each month. Now if you're feeling uncertain about the future, use 3.5% or 3%. At 3.5%, you'd need $824,914 to maintain that standard of living. And if you're feeling better about the future, maybe you can withdraw 5%, in which case you'd need $577,440. Now use our Savings Goal Calculator or 401k Calculator to figure out what you must do to save that much. Don't be discouraged if those calculators say you'd need to set aside more from your paycheck than you can possibly afford. Save what you can. It isn't an all-or-nothing proposition. Even a nest egg of $300,000 — half of your goal — is still enough to generate about $1,000 per month. In the end, while you might use the rule for planning, it's only a starting point. Christopher Currin, president of Pegasus Financial Advisors in Dallas, says many people will have to draw well more than 4% because they haven't saved enough money. A recent survey from the Employee Benefit Research Institute and Greenwald Associates found that 60% of workers reported having assets worth less than $25,000. That doesn't factor in home equity or pensions. The reality is that the majority of workers could use any number and will never have enough money to retire if they strictly stick to a drawdown rule. "The problem with the 4% rule is that it can keep people working indefinitely," Currin says. The key to surviving retirement with enough money, he says, is to be flexible and maintain a low-cost lifestyle. He recommends taking a commonsense approach and adjusting withdrawal rates as needed. That means creating a plan that works for you for when it's acceptable to splurge and when you have to cut back to ensure your savings don't run out. "If we can get people to admit that their money won't last forever unless they manage it properly, that's already half the battle," D'Arruda says.